Federated Investors, Inc. (the “Parent”) is filing this schedule 13G because it is the parent holding company of Federated Equity Management Company of Pennsylvania and Federated Global Investment Management Corp. (the “Investment Advisers”), which act as investment advisers to registered investment companies and separate accounts that own shares of common stock in CONTRAFECT CORPORATION (the “Reported Securities”). The Investment Advisers are wholly owned subsidiaries of FII Holdings, Inc., which is wholly owned subsidiary of Federated Investors, Inc., the Parent. 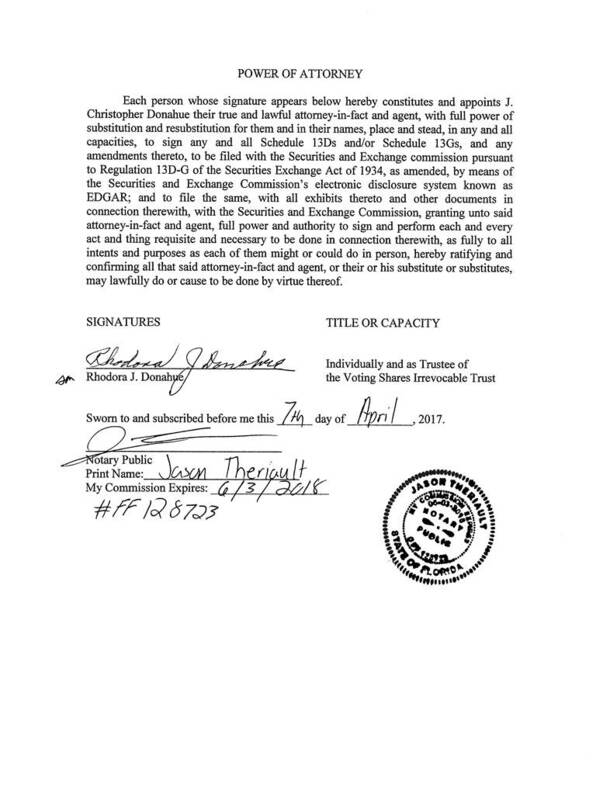 All of the Parent’s outstanding voting stock is held in the Voting Shares Irrevocable Trust (the “Trust”) for which Thomas R. Donahue, Rhodora J. Donahue and J. Christopher Donahue act as trustees (collectively, the “Trustees”). The Trustees have joined in filing this Schedule 13G because of the collective voting control that they exercise over the parent. 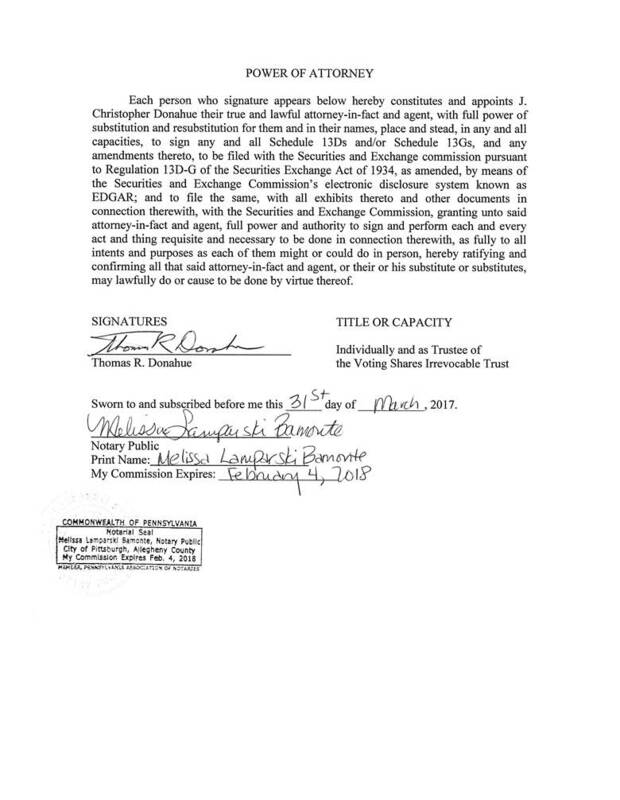 In accordance with Rule 13d-4 under the Securities Act of 1934, as amended, the Parent, the Trust, and each of the Trustees declare that this statement should not be construed as an admission that they are the beneficial owners of the Reported Securities, and the Parent, the Trust, and each of the Trustees expressly disclaim beneficial ownership of the Reported Securities.